Was This Roman Sculpture of Gaius Caligula Painted? This Roman sculpture from the collection of the Virginia Museum of Fine Arts depicts the Roman emperor Gaius Caligula. New research suggests ancient Roman artists painted imperial statues with bold, vibrant colors. Photo by Katherine Wetzel. The Hellenistic world that surrounded first-century C.E. Judea abounded in Roman sculpture. Ancient Roman artists carved elegant marble images of gods, warriors and emperors that filled the halls and bathhouses from Alexandria to Damascus. Even some of Judea’s cities, like the extravagant port of Caesarea Maritima built by Herod the Great, included temples and monuments adorned with pagan Roman sculpture. For Jews, such statues were an abomination, a direct affront to God’s commandment not to make graven images. But far from being the elegant white yet cold and lifeless works of art we see in museums today, these incredibly lifelike images were often painted by ancient Roman artists in bold, vibrant colors. 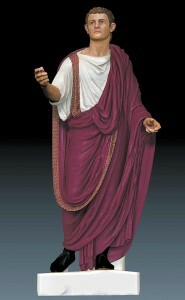 Given its rarity, the Roman sculpture was an ideal candidate for digital reconstruction by the University of Virginia’s Virtual World Heritage Laboratory and Direct Dimensions, Inc., especially since significant traces of paint were found on its surface. After a detailed three-dimensional computer scan was made of the entire statue, researchers began studying the preserved color fragments as well as other color traces on painted busts and statues of Roman emperors to reconstruct how the Gaius Caligula statue might have looked 2,000 years ago. This digital model of the Gaius Caligula statue shows how ancient Roman artists likely styled Roman sculpture 2,000 years ago. Reconstruction by Matthew Brennan, Virtual World Heritage Laboratory. Traces of purple found on Caligula’s torso indicate that his toga had either a purple stripe or that he wore a completely purple toga. The study also found that the edges of the toga are decorated with zigzag designs and may have once been painted gold to represent the imperial garment’s gold-embroidered fringes. Even more arresting is the reconstruction of Gaius Caligula’s face and head—modeled after painted busts of the emperor—which shows him with dark brown hair, tanned, radiant skin and a soft, youthful gaze. Ancient Roman artists achieved such realism through sophisticated painting techniques that allowed subtle variations in color, tone and shadow to accentuate the carved features of the marble Roman sculpture. The final, digital reconstruction of Caligula’s likeness will debut this December at the VMFA during a special public symposium exploring past portrayals of the Roman emperor alongside the new 3-D digital model. The model will then appear permanently on the VMFA Web site as well as that of the University of Virginia’s Digital Sculpture Project, making the Caligula statue available to all, whether for study or enjoyment. 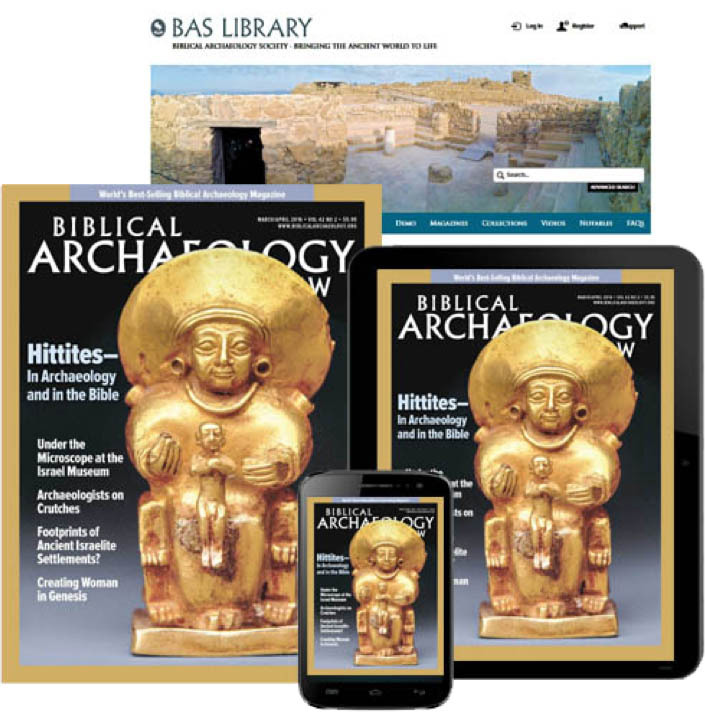 Based on “Caligula Reveals His True Colors,” Biblical Archaeology Review, November/December 2011. Many Roman portraits and statues of the Julio Claudian Dynasty were painted. The VMFA Caligulan statue actually has a break at the neck http://www.flickr.com/photos/julio-claudians/2154157619/ and was an attempted damnatio memoriae of the not so popular emperor. Great article piece and I hope to make it tot he VMFA one day to see this statue.